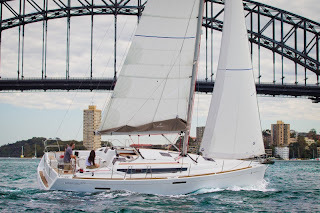 What’s it like to do 16.8 knots on a Jeanneau Sunfast 3600 in a race? Cape Cod. Just saying the words evoke wonderful summery images: sand dunes, seasonal jobs, soft air, and the glassy still anchorages of my gloriously misspent youth…. It was a gorgeous day when I took the new Jeanneau 469 out for a test drive with some potential buyers after the Annapolis boat show….